Collagen loss means your skin no longer has the plump cushion it needs to be smooth; to treat it we need to know why it happens! One cause is having a high number of free radicals in your body, which can come from exposure to UV rays, toxins and pollutants. The start of the menopause is also a biggie and can cause a rapid loss of collagen. You may think these are pretty hard things to fight but never fear – you can combat collagen loss! Antioxidants fight free radicals to prolong healthy collagen, and Retinol-based ingredients have been clinically shown to slow and combat collagen loss. Begin fighting your wrinkles by fighting the cause of your wrinkles – reduced collagen! Retinol-derived ingredients diminish the appearance of fine lines and wrinkles by up to 45% in eight weeks. As we age we dry up! Our body produces less natural hydration than it did when we were young and when skin isn’t hydrated, the appearance of fine lines and wrinkles become deeper and more noticeable. To fight dehydration, be sure to replenish moisture both internally and externally. Here at Murad, we recommend eating your water! Water-rich fruit and veg is packed full of structured water which is more easily used by your body and will keep you hydrated for longer. Externally, use both a lightweight daytime moisturiser with SPF protection and a nutrient-rich night time moisturiser to replenish and nourish your skin while you sleep. 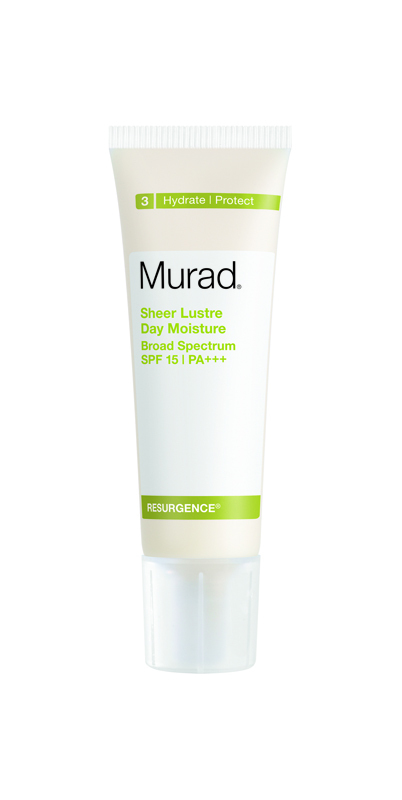 From the Murad Resurgence® line of anti-ageing products, this daytime moisturiser minimises the appearance of wrinkles while also providing daily UV protection. Sometimes, no matter how well you’ve looked after your skin or how effective your anti-ageing products are, there’s just that one (or several) persistent wrinkles that you can’t stop looking at when you look in the mirror! Much like you’d use a spot treatment to treat an individual acne blemish, use a targeted wrinkle treatment to target more persistent, individual lines or wrinkles. A precise applicator tip delivers the intensive anti-ageing formula directly into each wrinkle while the slow release technology means that it’ll keep working for hours to reduce even the most stubborn lines! To combat the development of wrinkles, you’ll need to combine Inclusive Health practices with a dedicated skin care regimen. However, firmer, smoother youthful looking skin is possible! This entry was posted in Anti-ageing, Topical and tagged anti ageing, anti ageing products, anti ageing skincare, anti-ageing skin treatment, moisturisers, wrinkles by muraduk. Bookmark the permalink.